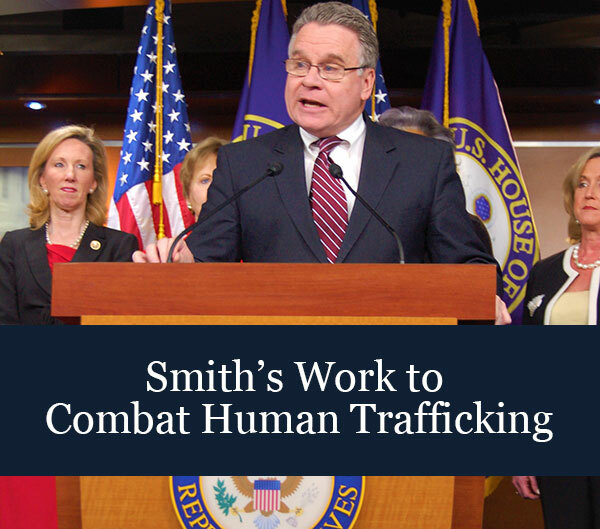 Rep. Smith, Chairman of the House panel that oversees global human rights issues, and author of the landmark Trafficking Victims Protection Act (TVPA), which mandates the State Dept.’s annual Trafficking in Persons Report (TIP) held an April 22, 2015 hearing on the upcoming 2015 report. Ambassador Mark Ragon and witness panel testifying before the Global Human Rights Subcommittee on April 22, 2015. “For political reasons alone, President Obama has done a grave disservice to victims of human trafficking in Cuba and Malaysia by upgrading the human trafficking tier rankings in those countries in the annual Trafficking in Persons report,” said Rep. Chris Smith (NJ-04), author of the Trafficking Victims Protection Act of 2000 (TVPA), which mandates the annual world-wide trafficking assessment and ranking report. Smith also noted that the Trafficking in Persons (TIP) office—50+ expert analysts—still does painstaking, yeoman’s work in combating human trafficking worldwide and gathering the needed information but said in this case the compelling facts got “whitewashed” in the higher echelons of the Obama Administration. “This report, the 15th annual report since I first wrote our nation’s anti-trafficking bill, is not only six weeks late,” Smith said “but it has careened off into a new direction where the facts regarding each government’s actions in the fight against human trafficking are given almost no weight when put up against the President’s political agenda. “In April, I chaired my 17th hearing that focused solely on trafficking and there was no indication in the expert testimony provided that either Malaysia or Cuba had done anything to warrant an upgrade, or to suggest that victims of trafficking are in a better situation in either country than they were last year. What has changed?” Smith asked. “It seems quite clear that Malaysia’s role in the TPP and Cuba’s unchecked march to normalized relations have captured the Obama Administration’s ability to properly access the worst of the worst when it comes to fighting to protect trafficking victims and punish the thugs who mastermind this modern day slavery. “It is no coincidence that earlier this year the Obama Administration also removed Cuba from the national list of state sponsors of terrorism. One-by-one this Administration is overriding human rights and national security policies for another agenda,” he said. Smith noted that the rankings provided to both China and Vietnam fit better into the Administration’s agenda than fit into the careful standards of the report. “China—which should be a Tier 3 country but gets an ‘Obama-pass’ to Tier 2 Watch list—has the distinction of not only neglecting to fight human trafficking, but of compounding the suffering of victims and aiding traffickers through short-sighted government policies,” Smith said. Turning to Vietnam Smith said “We know the Vietnamese government directly profits from human trafficking, we know prisoners are used in forced labor, and we know that women are trafficked to China as brides and prostitutes. In the religious freedom context we saw Vietnam respond with action when they were held to account and knew that trade would be impacted. “Tragically, today’s human trafficking ranking was a lost opportunity to inspire real change and assistance for the victims of human trafficking in Vietnam,” Smith said. Smith also noted that Burma received yet another waiver. In April, Smith chaired a hearing on human trafficking to evaluate the recent records of countries downgraded to the worst tier in last year’s TIP report, such as Malaysia and Thailand, as well as to examine whether China and Vietnam had records supporting their better tiers. Smith was an invited guest at today's unveiling at the State Department. Secretary John Kerry recognized the Congressman as a leader in the fight against human trafficking, calling Smith someone "who has been just such a longtime champion on these issues." Under the TIP report, Tier 1 countries fully meet minimum standards. Tier 2 countries do not meet the minimum standards but are making significant effort to do so. Tier 3 countries do not meet the standards and are not making significant effort to do so. Along with the embarrassment of being listed on Tier 3, such countries are open to sanction by the U.S. government. Tier 3 countries are subject to potential sanctions that include the United States using its voice and vote to deny such countries loans from the International Monetary Fund (IMF) and other multi-lateral banks, and barring non-humanitarian, non-trade related foreign assistance, as well as certain education and cultural exchange programs. In addition to the original 2000 law (P.L. 106-386) which provided for the annual reports, Smith wrote two subsequent anti-trafficking laws (PL 108-193 and PL 109-164) increasing resources for crime prevention and expanding treatment assistance for victims.